When your pet is diagnosed with a life-threatening illness, it is tough to make decisions on whether or not to treat, and for how long. When our dog, who is a member of our family, was diagnosed with T-cell lymphoma, we had the same problem. Was it cost-effective to treat? Was he going to suffer? How long would the treatment last? Would it definitely work? These were just some of the questions we asked ourselves. Our cairn terrier Philly (think Toto from the Wizard of Oz) is currently 4 months in remission from T-Cell lymphoma. He began not feeling well early last February of 2013. We noticed large lumps forming on the sides of his neck, in what looked to be a glandular region. We decided to take him to the vet, hoping for some sort of easily treatable throat illness. Unfortunately, after ruling out a throat sickness, and a tooth infection, we were forced to have a biopsy conducted. Our fears were confirmed when the biopsy came back positive for lymphoma. Further tests revealed he had the more aggressive form, T-cell. T-cell lymphoma is not only harder to treat, but remission times remain shorter, as well. The Madison Wisconsin Protocol combines 3 popular chemotherapy drugs used commonly in canine cancer care. The 3 drugs are Vincristine, Doxorubicin and Cytoxan. The dog is also commonly put on Prednisone (a corticosteroid). Treatments are given in 4 week cycles for the first 2 months, then every other week for 4 additional months for a total of 6 months. Hopefully by then, the dog will be in remission. Once remission relapses, and the cancer comes back, you would start the protocol again. We began the Madison Wisconsin protocol immediately, alternating the drugs each week according to the protocol instructions. He was also prescribed the Prednisone to be taken every day. Our dog, Philly, was dealing pretty well with the Doxorubicin, only seeming slightly lethargic. However, the Vincristine & Cytoxan both took a toll on Philly’s stomach, making him very ill and unable to eat. We completed the 4-week protocol and then repeated the 4-weeks once more, before reaching our limit on what the health insurance would cover. Once insurance would no longer cover the treatment, we decided it would be impossible to continue the Madison Wisconsin protocol on our limited income. Also, watching our dog feeling ill during some of the chemo doses was tough on us. We had promised that we would treat him as long as he wasn’t suffering at all. We decided to keep Philly on the Prednisone as it seemed to be helping a bit with swelling, as well as with keeping his appetite up. However, we began looking into other options for chemotherapy treatment. Our veterinarian suggested we try the cheaper drug, Lomustine,. Unlike some of the drugs in the Madison Wisconsin protocol, Lomustine was administered orally, without the requirement of an IV or catheter. Lomustine would be administered by mouth every 21 days. The drug is in pill form and can be administered at home after a veterinarian conducts blood work. We also began Philly on Denamarin daily (a drug to help improve liver function). This drug has no known side effects and is not costly. To administer the supplements, I was opening the caps and pouring them over his daily food. I used a pin or knife to poke a small hole in the Fish Oil softgel capsule and squeezed the oil over his food. During the treatment, Philly’s weight ranged from 18lbs – 22lbs, so you may need to adjust the dosages based on your dog’s size. In addition to the above supplements, I had Philly on the Budwig Diet. The Budwig Diet consists of cottage cheese and flaxseed. This diet is used with a number of degenerative diseases, helping to improve and normalize the functioning process of cells. It has been shown to help shrink tumor size in cancer patients, as well. To implement this diet, I was giving Philly a tablespoon for Fat-Free cottage cheese daily (scooped on top of his dry food and supplements), with a ½ tablespoon of ground flax seed. We used Spectrum Essentials Cold Milled Organic Ground Premium Flaxseed. 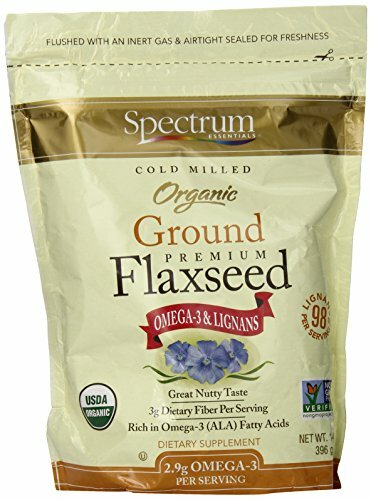 Please be aware that the flaxseed needs to be refrigerated. We ended up cutting back drastically on the Prednisone and then cutting it out entirely, as it was making Philly very hungry, very plump and what we described as “swollen”. He began to look almost like a sheep, with a big round body and small head. Not only did this make him look silly, it was affecting his ability to walk long distances, and jump up on couches and chairs. We do feel that the prednisone was helpful as first, but now that he is in remission, we have discontinued the prednisone in favor of him having the ability to be active. Philly is currently doing extremely well. He has been in remission for months, is back to his normal weight, eats very healthy and is more active than ever. He makes sure to keep us safe from the men who mow our lawn, he chases the squirrels in our yard and loves to go to the dog park. He is going to be 9 years old on May 25th, 2014. He is currently still taking most of the supplements and the Lomustine chemotherapy drugs, but now we administer the drug every 6 weeks, instead of 3. Philly is currently on a 30mg dosage every 6 weeks, with the drug costing 102$ for two 30mg doses. We have Philly visit the vet for blood work and a checkup every 6 weeks before administering the drug at home. We could not be happier to have our happy, healthy dog at home with us, alive and well. The diagnosis over a year ago was very bleak, and our hopes were not high. Even today, the veterinarian and technicians are astounded at how well Philly is doing. The treatment regimen works very well for Philly and I hope it can be used to help treat other dogs, as well. Thanks for sharing, I hope Philly keeps going strong and is no longer looking like a sheep! I have a friend with an 8 year old beagle who has been battling a lymphoma for over a year now. He also has been withholding chemo due to the adverse effects. I am going to send him this article, he will be very appreciative.